This is our eighth vintage release. A relatively short time, for wines which have become a cornerstone of the C&B family. 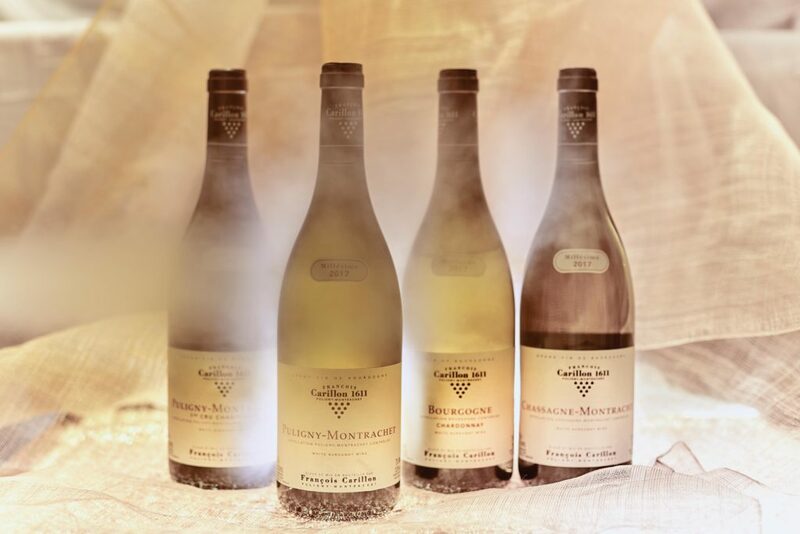 The Carillon family has been established in Puligny-Montrachet for sixteen generations. The first mention of a Carillon winemaker in the village dates back to the 16th century. Domaine François Carillon was established following the splitting of Domaine Louis Carillon after François’ father’s retirement. François’ first crop was the 2010 vintage: a wonderful year in which to begin. François started working with his father Louis in 1988. He was responsible for the vineyards, while his brother Jacques tended to the cellar. Following the announcement that the brothers were to go their separate ways, the domaine’s many aficionados were understandably anxious about the future of these wonderful family holdings. As we release François’ eighth vintage, that anxiety has been replaced by a groundswell of enthusiasm and affection for these wines, which are at once new and ancient. Domaine François Carillon has managed to both retain existing followers and win many new admirers. Corney & Barrow is proud to represent Domaine François Carillon exclusively in the United Kingdom. François is a vineyard man – his experience with his father was gained among the vines, so it is natural that his focus should be on the grapes. This was something which immediately attracted us to him and the domaine. Great wine is made in the vineyard, after all. Perhaps his temperament also lends itself to the open slopes of Puligny, although he has certainly had a lot of indoor work in recent years. The cellars have been extensively renovated since the domaine’s establishment. 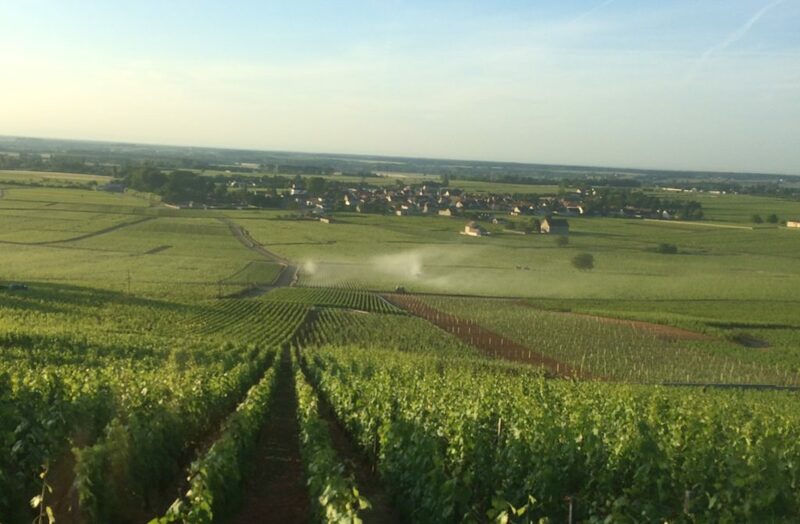 The domaine owns 6.5 hectares of vines and has access to more via long-term leases. These are managed in accordance with lutte intégrée principles; that is, as naturally as possible, but with the option to treat the vines if required. No weed-killers are used, just ploughing, either by horse or tractor. Production is controlled by a strict pruning regime, followed by de-budding, the aim being to have no more than eight bunches per vine. The handsome cellars lie at the heart of the village of Puligny-Montrachet, beside the church. François refers almost dismissively to his work in the cellar as “traditional”. 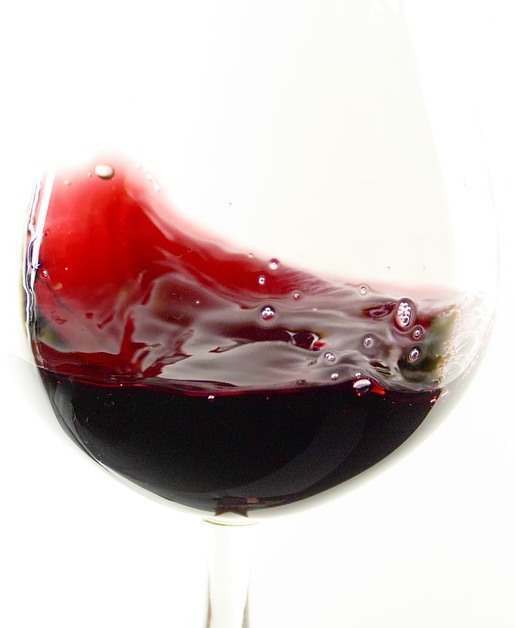 By this, he means all wines undergo alcoholic and malolactic fermentations in oak barrels, where they remain for a minimum of one year, followed by six months in stainless steel vats prior to bottling. The percentage of new oak, from either the Tronçais or Alliers forests, is steadily decreasing at the domaine, now hovering around 10% for the villages wines and 15% for the premiers crus. In a nod to biodynamics, bottling takes place during a favourable period in the lunar cycle. The winter of 2016-17 was cool and sunny, with less rainfall than average. By the third week of March, buds were swollen throughout the Côte d’Or, heralding a rapid and early budbreak from 20th March, amid warm temperatures. The first fortnight of April saw temperatures exceed 25°C, further hastening the development of the vines. However, the weather changed dramatically at mid-month, temperatures dipping below zero. Freezing temperatures visited the Côte d’Or on the nights of 27th and 29th April, although frost damage was avoided thanks to a remarkably coordinated effort, in which bales of hay were set alight by vignerons along the length of the Côte. The resulting haze of smoke prevented a repeat of 2016’s frost damage, whereby the sun’s rays had ‘burnt’ the frozen grapes as they lay encased in ice on the vine. More clement weather returned in May and by month-end, leaves were unfurling and flowering was underway, lasting almost a week. June continued warm, with the first bunches achieving closure around the 20th, putting the season on a similar trajectory to 2009. Some much-needed rain fell in July, alleviating the hydric stress that was beginning to tighten its grip on some vines. By mid-August, véraison was almost finished in the Côte d’Or, at which point temperatures decreased a notch, allowing for a smooth controlled descent into harvest during the final weeks of the season. Finally, after short Burgundy vintages since 2009, and just as we were beginning to search for a new concept of ‘normal’, volumes produced are back to the ‘old normal’ in the Côte d’Or. The 2017s from Domaine François Carillon are, as François’ justifiably bullish quote above suggests, fabulous wines.